Hospitals in Durango and Cortez are cutting back on opioid medications to help prevent additions. Southwest Health System in Cortez is testing patients to see if they have depression or anxiety that might make them susceptible to addiction, said Ken Boucher, chief ambulatory services officer. Preventing opioid addiction can start in a doctor’s office, which is why hospitals and clinics across the region are cutting back on prescribing opioids such as codeine and oxycodone. “I don’t think people realize how bad it really is and how embedded it is,” said Mary Dengler-Frey, regional health connector with the Southwestern Colorado Area Health Education Center. In 2016, opioids played a role in five La Plata County deaths, according to data supplied by Jann Smith, La Plata County coroner. Since 2002, the overdose death rates in La Plata, Montezuma, Archuleta, San Juan and Dolores counties have been growing steadily, Dengler-Frey said. Opioid abuse is one of the three biggest health problems facing the region, along with diabetes and suicide, she said. It’s a problem that cuts across demographics that aren’t usually associated with drug use. For example, high school athletes can get addicted after they are prescribed opioids for injuries, she said. Opioid addictions can lead people to buy heroin on the street, and reducing opioid prescriptions should keep former patients from seeking that dangerous high, she said. “It seems like it could be a winnable battle if we approach it differently,” she said. In the past, doctors would regularly prescribe 30 to 60 days of opioid medication, but that’s changing, she said. At Mercy Regional Medical Center, doctors use alternative medications or limit opioid prescriptions to seven to 10 days when appropriate, Chief Medical Officer Dr. William Plauth said. For example, doctors may recommend medications that don’t require prescriptions, such as Tylenol, specialized nerve blocks, combinations of medications, or use other options depending on the type of pain being treating. However, opioids can be the best choice for some patients with certain conditions such as cancer, chronic pain and acute traumas, he said. Mercy also offers complementary pain-management services for those going through surgery, such as message, meditation, music therapy and aromatherapy, Mercy spokesman David Bruzzese said. Reducing patient’s anxiety can help reduce their pain, he said. Plauth said he has noticed greater awareness around the issue, but he would like to see more community education to combat the problem. “Many more patients are raising concerns themselves, which then makes some of the conversations very easy,” he said. The problem appears to be increasing in our community, but it is far less severe than what other areas are facing, he said. Staff members at Southwest Health System in Cortez are also making a concerted effort to cut back on opioids, said Ken Boucher, chief ambulatory services officer. In August, Southwest Medical Group, a primary care clinic, and other primary care doctors started assessing each patients’ depression, anxiety and other factors to learn how likely someone is to abuse opioids, he said. The test results determine how often a patient must meet with a primary care provider before having opioid prescriptions renewed, he said. Doctors also started reducing doses of prescribed opioid medications for some patients based on guidance from the CDC to lower the risk of accidental death, he said. “Ultimately, we would like to wean most patients completely off their medication using other therapies with the exception of a few diagnoses,” Boucher said. 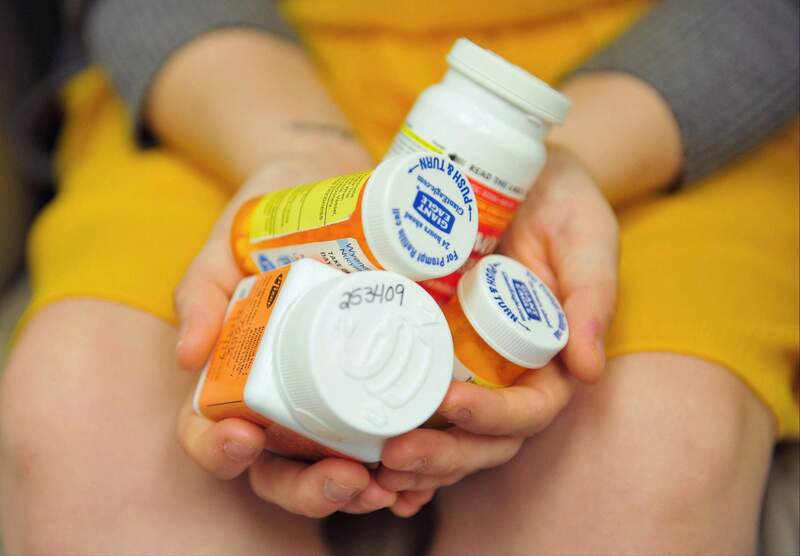 Two years ago, the emergency department and the walk-in clinics associated with Southwest Health System started giving patients only enough opioids for two to three days because a patient can form an addiction in three days, he said. After seeing a doctor at the emergency room or clinic, Southwest Health System patients are required to see a primary care doctor to receive more opioids, Boucher said. The results of the Southwest Health System’s efforts have been mixed. Medical staff members have identified high-dosage users and started to manage them to a lower dosing schedule, he said. The system has also lost patients who would not be seen unless their medications were refilled, he said. “We do not necessarily know where they go from here,” he said. To combat the larger problem, he would like to see more addiction resources such as counseling, which tend to be lacking in rural areas. In addition to efforts at the hospitals, doctors across the region are using a state system that allows them to see if patients have received prescriptions from other doctors, she said. An update to the system in April made it more user-friendly, and she believes that is encouraging more use. “It is very helpful to see if there is potential doctor-shopping,” Plauth said of the state system.